Mass Communications majors are eligible to apply for the Brooke Haley Memorial Scholarship. This endowed scholarship fund was created in 2005 to honor Brooke Haley, a mass communications (broadcasting) student from Pryor, Oklahoma. 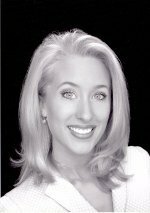 Brooke earned the title of Miss Oklahoma City University in 2002. These scholarships are intended for students who demonstrate a commitment to the field of mass communications as well as professional potential. Funds are applied to tuition expenses. Students must have a 3.25 GPA to be eligible. Applications are accepted every spring. Current students, transfers and high school seniors may apply. Download an application. Contact Dr. Matt Hamilton at mhamilton@okcu.edu for more information. Submission deadline is February 17, 2020.